Herod was nothing if not paranoid. He had three of his sons and one of his wives executed for fear they were conspiring against him. He was a man who desperately wanted to maintain his empire and decide who would receive what after he died. His desire for security and control caused him to panic when wise men showed up from the east wanting to see the newborn King of the Jews. When Herod found out that the wise men had outsmarted him, he was furious and ordered the death of all of the male babies in Bethlehem. If he didn't know which one was the Messiah, he would kill them all. Without a doubt, Herod was evil, but often extremely evil men reveal in their actions the hidden desires of all of our hearts. over your life. Yet Herod only killed a small handful of boys. Millions of people all around the world make the decision to kill innocent human beings to protect their security and control of their lives every year. And governments around the world fight to keep the right to kill the innocent legal, accessible and inexpensive. 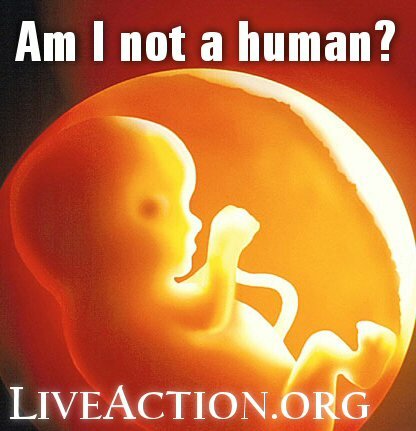 Since 1980, over 1.4 billion innocent babies have been poisoned and torn apart in their mother's wombs. You can see more about the numbers here. Why do so many innocent babies have to die? To protect the security and sense of control of those who decided to have them killed. The baby Jesus was no threat to Herod. Jesus did not want Herod's throne. Babies in the womb are almost always no threat to their mothers either. Children are a blessing from God and enrich the lives of their parents, even when born in "unwanted" circumstances. No baby is unwanted by God or unplanned in God's providence. Pray for an end to abortion. Pray for all mothers to see their babies as a blessing and not a burden or a curse. Pray for justice and human rights for the unborn. Pray for repentance, forgiveness and healing for the women who have chosen abortion. The cross of Jesus is sufficient to pay for all the sins of those who repent and believe, including abortion. O Lord, hear our prayer for justice for the unborn children who bear Your image. Deliver them from the threat of death. Father, You have saved me from death and hell and brought me life and forgiveness. Be gracious to the unborn and protect them. Lord, this world is full of people who defend abortion and who think killing the unborn is a matter of "choice" and "women's health care" and all sort of other lies. People seek after these lies because they want to be able to control their own lives and secure their own futures, which is also a lie. And so they attack the unborn. Cast down their lies, O Lord. Expose the deception of Satan for what it is! Lord, I trust You to protect and deliver Your own. I trust that You are powerful and wise and good, even in the face of such widespread evil! Lord, I confess to You that abortion makes me angry, as it should. Keep me from sinning in my anger. Keep me from judging others, condemning others, saying harsh and hateful things, being prideful or self-righteous. Keep Your people mindful of the evil of abortion and let us be angry about this great injustice without sinning. Lord, Your Son is the only right sacrifice to cover our sins, all of our sins, including abortion, and our lives are to be a living sacrifice of thankfulness, worship and obedience to You! Let us trust in You and live for You always. Father, despite the overwhelming evil of abortion, You are still good and we are still so blessed. You show us Your goodness in a thousand different ways every day and we have so much to be thankful for and so many great reasons to rejoice in You! You do protect many unborn children and You do move the hearts of many women to choose life for their children, and You bless us with life and family and forgiveness and peace every day. Lord, at the end of each day, when we rest our heads on our beds, we are in Your hands. We are kept by You and we thank You. Hear our prayer for the same safety and rest for the unborn, Father. In Jesus' precious and holy name we pray, Amen.